Ultiworld’s 2017 Mixed Club Awards are presented by Universe Point cleats; all opinions are those of the authors. Please support the brands that make Ultiworld possible and shop at Universe Point! One of the top goal scorers in the mixed division, Brittany Winner was a force downfield for Steamboat this season. Racking up 35 scores on the season to lead the team, she stretched the field for Cincinnati and put constant pressure on opposing defenses. Winner was asked to stretch defenses vertically and laterally, showing off her throwing skill whenever defenses attempted to trap her downfield. 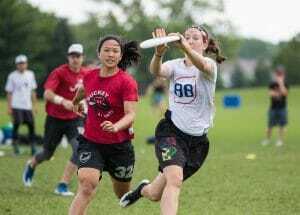 Her 15 assists on the year highlighted her comfort with the disc in her hand, breaking the Steamboat offense out of jams while facing the toughest female defenders in the Division. Watch any Steamboat game, and you will see Winner dominating all over the field. Whether she was pushing for yards before coming under, slicing laterally to grab a breakside swing, or streaking deep and skying for goals, Winner’s impact on the field was easy to see. One of the taller female cutters on the mixed scene, she used her height and her brilliant timing to win discs before defenders could even attempt to make a play, and this won her blocks when the offense would turn it, or when she would get pulled onto the D-line. Winner had a brilliant season for Steamboat, and her presence on the field was instrumental in Steamboat’s third Nationals appearance. With mainstay handler Ian Engler absent on Thursday of Nationals, Robin Meyers stepped up and anchored the offense through a brutal Pool C, putting up three goals and 12 assists in their wins over Denver Love Tractor and Fort Collins shame, including nine (!) assists in the latter match. Meyers finished the weekend with 26 assists, tied for 1st across the entire Mixed Division. Beyond the statline, though, what was more impressive about Meyers was his composure and fluidity in the Sarasota wind. Wild Card is known for playing small ball, with short cuts from the front of the stack and frequent lateral resets. They’ll throw deep to open receivers but will otherwise work the disc patiently up the field. This style of play proved challenging for most teams at Nationals, and even the most veteran handlers were playing for field position before halftime of their first game. Meyers put on a clinic to show that calm, collected offense was possible despite the conditions. Mozaffari’s stats at Nationals do not reflect the clinic she put on in Sarasota. 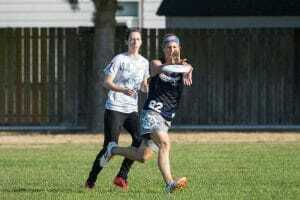 AMP’s only WUGC attendee showed her experience by constantly finding open space downfield or filtering into the handler set to revitalize a stagnating offense. She was instrumental in keeping AMP’s O-line moving. When Philadelphia needed a big play, Mozaffari would step up. Her trailing-edge layout grab in the endzone during the Finals was demonstrative of her inherent athletic ability and big-game mentality. AMP had a dominant run to the finals through bracket play: Mozaffari was an integral part of that. One of her great talents is her selfless game play. 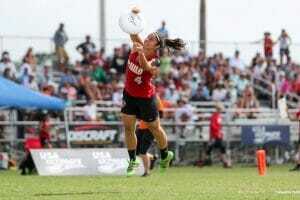 Even with the disc in hand, Mozaffari won’t hold the disc too long and hardly gives her mark time to start stalling. She’s looking for the next pass even before she’s received the disc and can cleave open a defense with her break-side throws. While having such a high usage rate for AMP, Mozaffari also managed to post only three recorded turnovers for the season. She’s the perfect combination of safe hands and aggressive offense. When first observing Mozaffari’s gameplay, she could be confused with a role-player on a quality team, taking any position where she’s needed. If that’s true, then she’s the best role player in the Mixed Division. 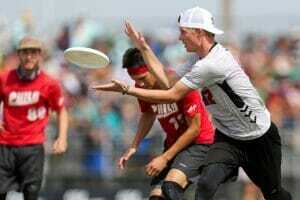 Michael Ing is a true all-around player. A mainstay on both offense and defense for an AMP team boasting some of the best depth in the division, Ing’s contributions can be hard to quantify at times. With a team as balanced as Philadelphia, big stat lines are tough to come by. No one gave Ing that message, though. At Nationals, Ing managed to lead the team with five blocks and tied for second with seven goals. Freeing himself for big gains against the toughest male defenders kept the AMP offense flowing, and his timing alongside the other Philadelphia standouts ensured that the AMP O-line was among the toughest to stop. After a turnover or whenever Ing was pulled over to the D-line, he was always in position to pressure the deep space or get a layout block on an under cut. 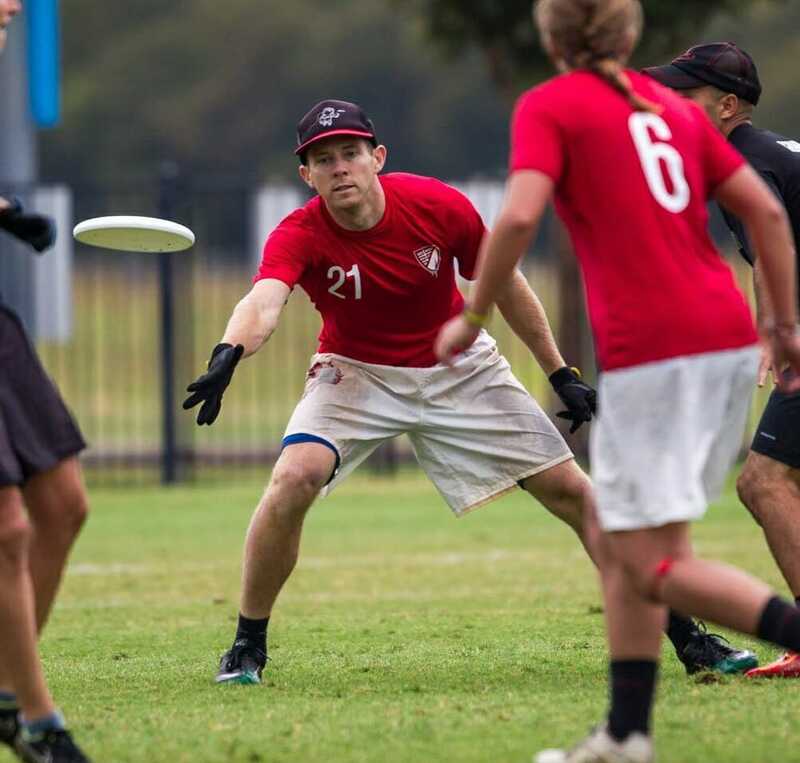 In the semifinals against BFG, AMP had Ing on for as many points as he could handle, showing his versatility by guarding the Seattle team’s taller cutters, pulling for the D-line, and keeping the disc moving with smooth around break throws. As yet another key contributor to AMP’s youth movement, Ing is still in the early stages of his elite club career. Expect big things from Ing for years to come. The engine behind BFG’s run to the semifinals, Jeff Pape joined the Seattle team after a few seasons away from the game and showed that he had not missed a beat. Stepping in as the primary handler on the BFG O-line, Pape’s visionary handling kept their offense firing on all cylinders. Unfazed by any defensive set, Pape showed a knack for finding cutters open on the break side with creative around and over-the-top throws, breaking out of trap sets and pushing the BFG offense downfield. Despite facing the top handler defenders in the game, Pape was the release valve in BFG’s backfield. The entire team knew that he would be an open reset whenever they needed him to be. His arsenal of hesitation moves, jab steps, and head fakes should be required viewing for anyone looking to improve their ability to be open in the backfield. Combined with powerful hucks, defenses knew he would be the center of the offense, and there was little they could do to deny him the disc. With an impeccable sense of timing on the occasions BFG did turn the disc over, he earned key blocks throughout the season to keep the Seattle team firmly in contention for a championship. 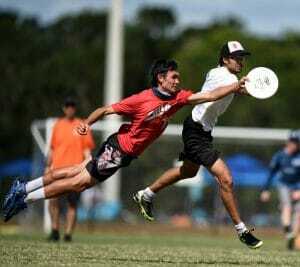 His calm in the face of relentless defense and the ever-present Sarasota wind was essential for BFG to push to the semifinals in their first Nationals appearance. A standout cutter on a young athletic Wild Card, Hailey Alm was everywhere Boston needed her to be at Nationals. She finished with nine goals, two assists, and three blocks on just one turnover. Anyone who watched Wild Card in Sarasota would be astounded that she finished without more turnovers, as Alm was integral in the team’s offense. Defenders playing on her hip would get scorched deep, while those giving a cushion would watch helplessly as she caught huge gainers underneath. Alm’s biggest game came in the quarterfinals against Seattle Mixtape, in which she tallied two goals, two assists, one block, and no turnovers, despite frequent touches in gusty conditions. Mixtape defenders simply could not stop her from getting open. Mixtape’s catchphrase is “Buckets don’t lie” and no one has given the Seattle team more buckets this season than Houser. Since July, he’s accumulated a staggering 39 goals and 17 assists. When watching Mixtape play, Houser’s prowess quickly becomes apparent. He’s incredibly attuned to the position of his handlers and will take off before they’ve received the disc, trusting that they’ll put it out for him. His trust is often rewarded. All throughout Nationals, Mixtape’s O-line has played short, efficient points due to their ability to streak into the endzone. Houser’s been able to close out points due to his instinctive deep cuts and the offensive chemistry Mixtape has fostered. Houser can also domineer the sky in a way few others have this season. While Mixtape has many players known for their ability to outplay their matchup in the air, Houser has had to show his talent most consistently. As a favorite target for his teammates in the endzone, his defenders know that the huck is coming, but a combination of good physicality and awareness of his own vertical ability saw Houser pulling down everything. Shots that would have been 50/50 for other targets are pretty safe bets for Houser. Comments on "Ultiworld All-Club 2017: 2nd Team (Mixed), Presented By Universe Point"